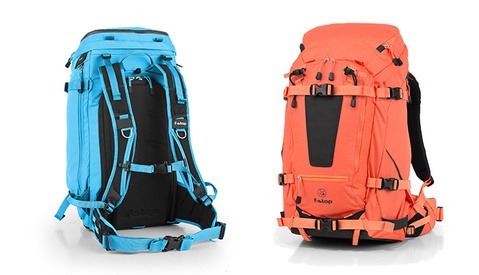 Known for its top of the line outdoor adventure camera bags and backpacks, F-Stop Gear recently unveiled the Loka Ultralight, or "UL," a revision of the popular Loka backpack. In this review I’ll go over the differences between the UL relative to its older brother, and point out who this pack is and isn’t for. 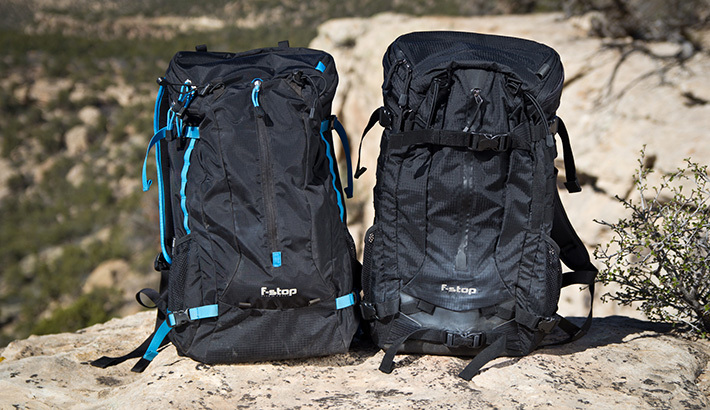 F-Stop Gear has been making quality camera bags and backpacks since 2006, focusing heavily on outdoor and adventure enthusiasts. 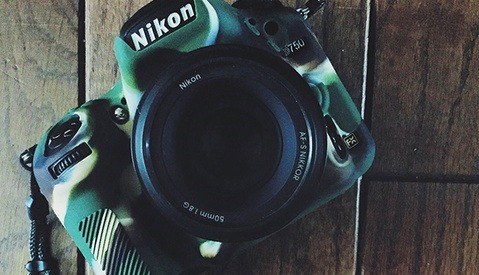 With an impressive lineup of “F-Stop Pro Photographers,” like Tim Kemple, Sven Martin, and Christian Pondella, they have been outfitting industry leading adventure shooters with their products, as you may have seen in their “Life in Focus” series of videos. One of their more popular products in the last few years was the Loka. This bomber pack has been enjoyed by many for its comfortable fit, useful features, and ability to take a beating in the field. I own this bag personally, and it’s my favorite camera daypack. I’ll choose it over my Lowepro and North Face bag when taking stills or video is a priority on a day in the woods. The UL on the left, with my heavily used Loka on the right. 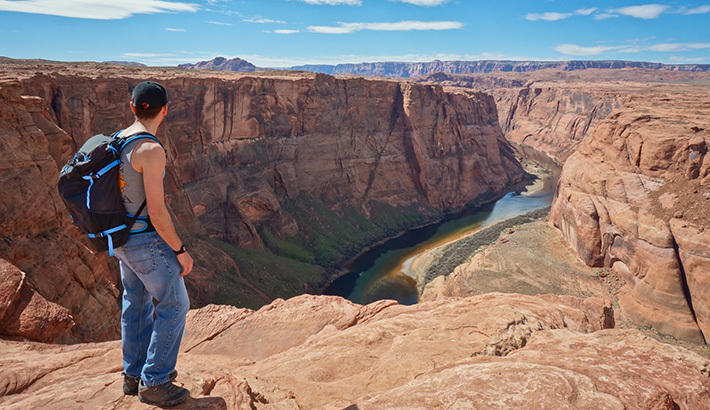 If you’re the kind of shooter who does a fair amount of hiking in the woods, day trips to scenic outdoor parks, or even just goes out locally to capture the local avian scene, you probably own some kind of 25-40 liter pack for taking your gear with you. The Loka (and UL) is for both the professional and amateur on trips just like the aforementioned. 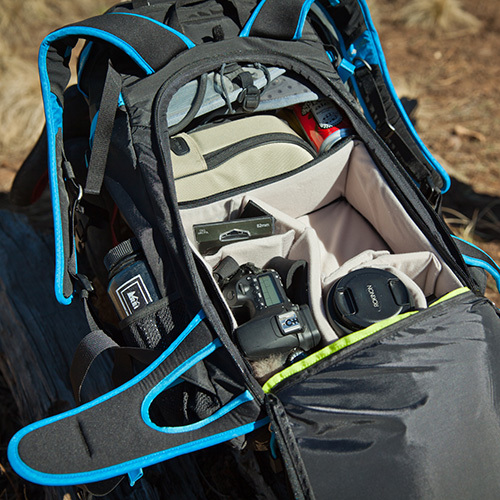 Both centered around the Fstop Gear ICU system, you can pick what enclosure suits your needs best, and then stuff the rest of the pack with your non-photographic essentials like sunscreen, jackets, beer, climbing shoes, etc. A medium ICU (Internal Camera Unit) inside of the UL. The space is from the DSLR being used to take the photo. The UL is definitely cut from the same cloth as the Loka, but it is the subtle changes that make it different. The first thing I noticed was that instead of the tactical looking, all-black color of the Loka, the UL has a sky blue trim, which makes it pop a bit more from its counterpart. The material itself seems a touch more lightweight. It stills feels durable, and they both shed water amazingly well, the UL is just thinner by some small, imperceptible amount. The next thing I noticed different were the zips. On the Loka each compartment zipper is lined with a water seal. These are missing from the UL. To see how much of a difference this might make, I poured some water directly over the same outer compartment zips for both the Loka and UL, and they let in almost equal amounts (not much). The UL buckles on the side rather than in the center. The main waist buckle on the UL is certainly a departure from what I’m used to, and is different from the original Loka. The UL’s waist strap has a single, long buckle on the right side, and a fixed clipping point on the left side. I can see how this allowed them to use less material and save some weight. I don’t see this as something good or bad, just different. You might like or dislike it depending on your personal packing preferences! The first time I wore this out on a shoot, halfway through the day I would throw it on my shoulders and not bother with the waist buckle. The long end dangled and was annoying at first, but it was easy to tuck away. In general, there are fewer accessory buckles and straps on the UL, and it makes for a more streamlined design. 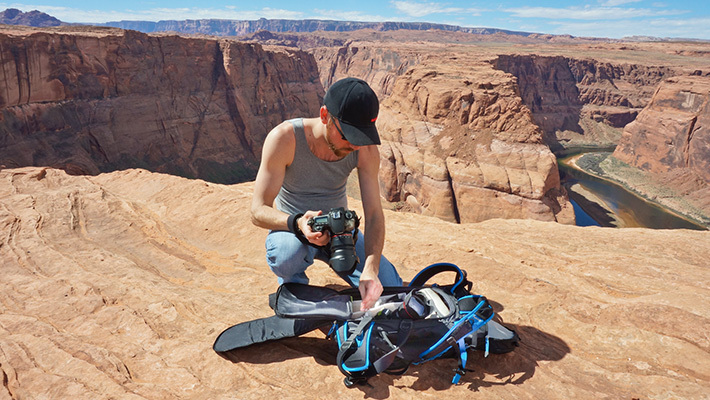 There are still places to clip on extra gear, and side straps for tripods. The hip pads have been redesigned, and while they were smaller in profile and padding, I didn’t really notice any discomfort while hiking around with it. The UL matches the Loka very closely in terms of its features. The top "brain" compartment is used for small items like granola bars, memory cards, radios, wallet, phone, keys, etc. I used the outer vertical zip to stash my jacket when I didn't need it, but it could easily hold a flash, hat, or other quick access items. 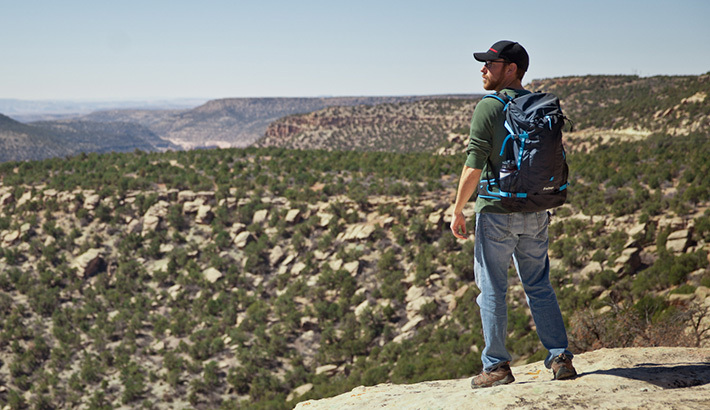 The UL has mesh side pockets which can hold a water bottle, up to a 1 liter Nalgene. If you have a water bladder like the Osprey Hydraulics LT or a CamelBak, you can place it in the internal bladder pouch, and run the drinking hose through the included H2O port. Both the Loka and the UL are built to open from the rear (the section that touches the wearer’s back) to allow access to gear without sitting the wearer’s side down in the dirt or mud. Back panel access keeps the shoulder straps, and you, from getting all dirty. I took this bag with me on an extended weekend trip through Arizona. I’d be car camping for 3 nights, and spend my days hiking, shooting rock climbing, and doing the occasional touristy stop. I chose the medium sized ICU, so that I could pack 2 camera bodies, two lenses, and some batteries. This left me with plenty of room for other items I wanted for my day like some snacks, headlamp, climbing shoes, climbing protection, a puffy jacket, water, and space to pack my fleece once it got hot out. The UL felt a little small at first, but with some fiddling I found a fit that was comfortable. The pack had adequate options for getting a proper fit based on my size and how I distributed my weight. The pack felt secure enough for me to get on top of 100 foot cliffs and jump around to and fro all nimbly bimbly. 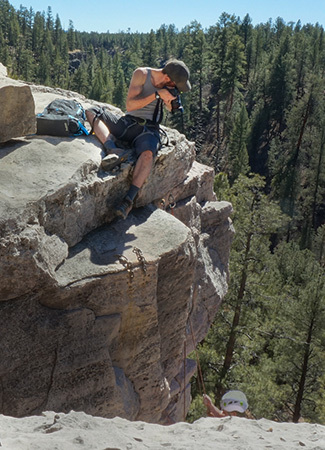 After about a mile hike in, it was always easy enough to sit my pack down and dig out the DSLR I wanted for my shot. Opening the access panel and unzipping the ICU takes just a moment. I had no serious issues with this bag. As I said, it is meant for a certain kind of use and it does that tremendously well. I was worried the fit might be a little short, but once adjusted it felt fine. If you are 6' or taller, it's hard to say whether or not this would give you a great fit (I'm 5'11") but keep in mind that F-Stop Gear has a 45 day return policy so you can get your money back if you don't like the fit. This backpack is going to retail for about $250. It might sounds pricey for a pack, but it's worth every penny. This thing is built to last and is well featured. 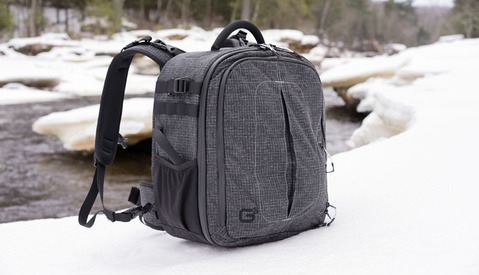 Ask anyone who has ever had an F-Stop Gear bag, and they will usually tell you it rocks. Like the original Loka, the UL performs great as a camera-compatible backpack for day hikes and short outdoor photographic excursions. If you need to carry more than 2 bodies, a tripod, up to 4 lenses and accessories, you will want to go with a larger capacity pack, or at the least use the largest compatible ICU. Additionally, if you’re going to be out on an overnight trip, this probably isn’t the bag for you. The Loka and the UL do a specific job and they do it very well. The UL shines over the Loka in that it can cut some of the weight and bulk when you simply don’t need it. If you already own the original Loka, I wouldn’t suggest upgrading unless you really want to shave the 1.25lbs off your hiking loads. However, if you’re in the market for a great daypack that can safely carry your photo equipment, and not weigh you down, the UL is a great choice. Nice work on this video, Mike. Love it. i have the regular loka. fantastic bag. one draw back that *i think* all the models have are very tight/small accessory pockets. unless you have slender hands, its a squeeze and you can really see what you're grabbing at. If you need to be ultralight, then sure. Otherwise, I'd go for the regular Loka. I love the all-black, and it's just a tiny bit more rugged, with a couple more straps. I also personally enjoy the center buckle Loka than the side buckle of the UL. It might be a little more expensive too, I don't recall. Hi, thanks for the review. Can I ask, I am scaling down from a Satori which I love, to a Loka or Loka UL as here in Australia our carry on limits are now 7kg and I use a Pentax 645z medium format system. I need to shed weight. 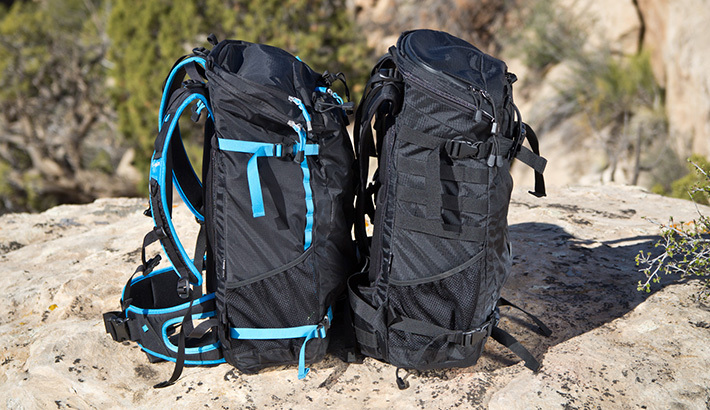 My main concern is the shoulder straps......are they as comfortable on the UL as they are on the Loka and Satori? My Large pro insert is a solid 6kg when packed.